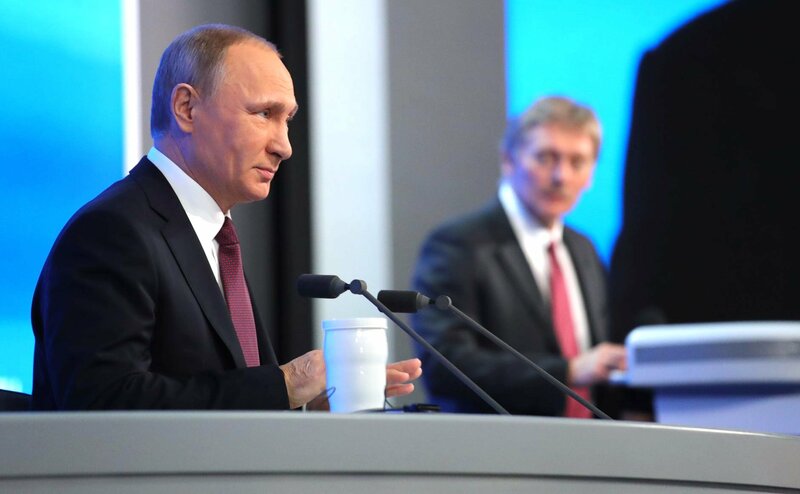 Russian President Vladimir Putin and presidential spokesman Dmitry Peskov. Moscow does not regard China’s deployment of inter-continental ballistic missiles near the Russian border as a threat, Russian presidential spokesman Dmitry Peskov has said. "We do not regard China’s efforts to develop its armed forces as a threat, and even if this information (about the deployment of intercontinental ballistic missiles near the Russian borders) is true, we see no risks for our country," Peskov told the media. He recalled that "China is our strategic ally and our partner in political, trading and economic terms." "We appreciate our relations," Peskov said. Earlier, the daily Global Times said China had deployed its most advanced inter-continental ballistic missiles DF-41 in Heilongjiang Province bordering Russia. The daily said images of China’s newest weapon system were made public in the Chinese segment of the Internet on Monday. Some media speculated the publication of the photos might have been timed for the inauguration of US President Donald Trump. The three-stage solid propellant ICBM DF-41 (Dongfeng-41, also known by its NATO reporting name CSS-X-10), was designed by China’s Academy of Rocket Motor Technology. It is presumably armed with a multiple warhead consisting of ten to twelve independently targetable reentry vehicles. According to various estimates its maximum range is about 14,000 kilometers.